‘trezor’, a two-seater electric coupé, embodies the new design philosophy renault introduced on its ‘dezir concept’ in 2010 before inspiring the lines of new clio in 2012. with its powerful styling and passion red coachwork, the ‘dezir’ heralded the first stage of a design strategy founded on the cycle of life: falling in love. the trezor goes further, by symbolizing feelings of maturity and commitment. 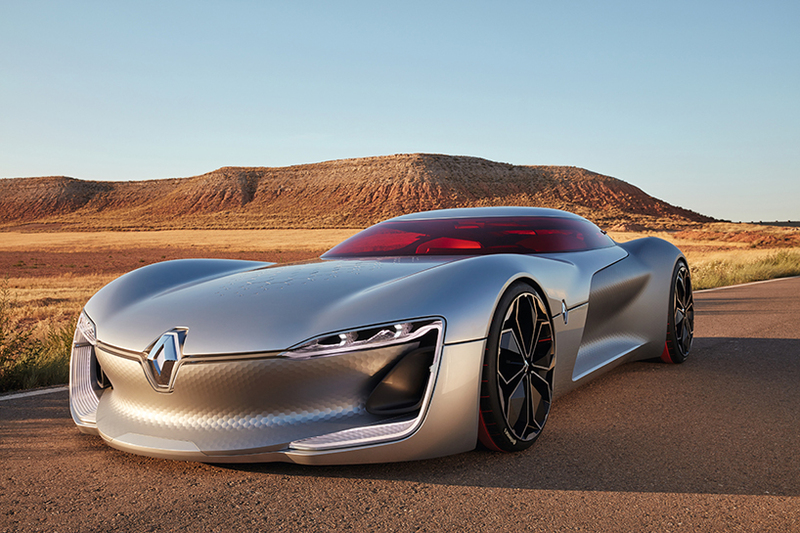 it reflects the maturity of renault’s designs.